If You Can’t Get a Paid Finance Internship or Job, Should You Offer to Work for Free? As graduation and summer internship season approach, you may be considering unpaid options more seriously if you’re still looking for an internship or job. Banks and other financial services firms are hurting due to the recession. Therefore, they don’t want to pay anyone very much – or anything at all – to work for them. But if you offer to do it for free, they’ll be a lot more receptive! After all, who wouldn’t want to give up some short-term earnings if it ensured long-term success? One small problem: the logic above is 100% flawed. It’s usually a bad idea to propose an unpaid work arrangement – except for a few specific instances, which we’ll get into below. The logic above assumes that firms are not hiring because they can’t afford it (see statement 2). But with the way the market is right now, most firms are not hiring because they don’t have enough work to go around. It doesn’t matter whether they pay you $10,000 or they pay $0: if they don’t have any work for you to do, you’re still “costing” them (just in time rather than money). There are some exceptions: Restructuring groups and hybrid consulting/banking firms focused on turnarounds are relatively “hot,” and most PE firms and banks still hire a minimum number of interns and entry-level Analysts/Associates each year. Funds of funds and tiny startups that have sprung up recently (many of them formed by ex-bulge bracket guys) are also looking for people, though in many cases more so at the VP/MD-level than at the Analyst/Associate level. But aside from the tiniest of boutiques, your salary or requested salary makes almost no difference in whether or not they’ll consider you. And by “boutiques” I don’t mean Lazard or Evercore – I mean extremely tiny firms with 3-4 guys max, because they’ll care about even small expenses. But Will It Work for You? Offering to work for free is most appropriate if you’re an undergraduate or a recent graduate. If you’re any older than that, you’ll look a bit desperate immediately asking for an unpaid opportunity. Yes, everyone knows the market is awful, there are no jobs, and that you would take whatever you could get right now – but no, you still shouldn’t openly admit any of this. If whomever you’re calling happens to raise it as an “objection” (e.g. “We can’t afford anyone right now”) then it might make sense to offer a rebuttal (e.g. “What about an unpaid experience?”). This strategy will not work very well if you’re more experienced – most firms don’t like to take experienced people on for free, just due to legal/HR reasons and general principle. But if you are targeting somewhere truly tiny, it can work… one MBA-level reader last year actually got an internship at a start-up prop trading firm using this strategy. If you’re younger and want to use this strategy, I would state this upfront (“I wanted to ask about unpaid summer intern openings…”) only if you’re going for the tiny, no-name, 3-4 person firms. Even most “boutique,” middle-market, and other, smaller banks have formal recruiting processes in place and will not be receptive to this approach – so I’d save it for an objection rebuttal if it comes up. If you’ve already spoken with firms and tried to propose unpaid internships with no success, what else can you do? Plenty of firms actually have a culture of taking on unpaid interns, whether during the school year or in the summer. Rather than trying to pitch yourself to a bank that doesn’t actually want unpaid help, why not try these places first? One that comes to mind in the SF Bay Area is FT Partners; and there are other regional boutiques that like free labor, often found through university organizations and business frats. If you ask around within business frats and other groups you can find a lot of information on other tiny firms in your area that do this. The most obvious example: prop trading firms, especially small ones, are known for paying extremely low (or non-existent) salaries and only giving you a percentage of your P&L as pay. Not all companies do this, obviously, but it’s far more common in the world of prop trading than it is with investment banks and PE firms. So if you went to a tiny, no-name trading firm they might just assume that you’re willing to work for no salary, on a 100%-commission basis. That’s not great for you, but at least it gives you the possibility of making money – as opposed to a real “unpaid” internship where you’ll just get experience and contacts. You are more likely to actually get paid… and therefore stay afloat for awhile longer if that’s a major concern. You’re more likely to actually get a job or internship in the first place – especially if you target firms that are not used to receiving cold calls and cold emails from random, well-qualified, and well-spoken strangers. Lateraling from this type of role into banking is 100% dependent on the market, which no one can predict. But doing something is a better choice than going for banks that just aren’t hiring right now. Another approach: if you can afford to work for free for a summer or for an extended period of time, apply to non-profits or similar organizations that have some relevance to finance. Well, unlike most “normal” companies, pretty much any non-profit in existence would love to have additional free labor at their disposal. On paper, it might not seem too relevant to finance – so you’ll have to spin it appropriately and focus on the “business results” of what you did, whether that was getting additional donors, raising money, or recruiting. Also (and this is something I’ve only seen mentioned once elsewhere), there’s actually increased M&A activity among non-profits, because they are strapped for cash. If you could work at one that was in the midst of some type of deal, you could use that experience to look like you did something finance-related and tell a good story about your interest. So, should you offer to work for free if you can’t find anything that pays you? Only if you’re a student or recent graduate, or you’re going for a truly tiny startup firm (or maybe a non-profit). Otherwise it will just backfire on you, especially if you’re not a college student. P.S. We got lots of great networking questions earlier this week – we collected them all and will be answering as many as possible in our live discussion next week. I’m a master of science graduate from a non target and an international student. Right now, I’m still doing an unpaid internship (this firm doesn’t have any full time junior bankers but it’s a solid shop with strong deal flow) but I’ve already graduated for 6 months… so I’m wondering how can I best position myself for next opportunity. I’m currently a second semester junior w a 3.8 GPA, at a semi target school. I had no luck with summer analyst recruiting due to lack of preparation but am planning to recruit full time for IB. I’m currently interning part time in a Big 4 Valuations group from Jan.-March and signed to return in summer from June-August. I received an offer to intern unpaid at a small boutique bank from March-May. Should I accept this unpaid internship to gain investment banking experience or would it not be worth my time? Thank you. If you have no previous IB experience, yes, you should take the unpaid school-year internship. Currently 1 year out of school doing tech sales in LA. I was chatting with a former BB MD about breaking in with a rather unconventional backgroud(Econ, not a lot of finance) and he suggested that I either offer to work for free for a bit or get a Msc In finance. Decided to try to offer free work due to lower overall cost. After coming across this article I’m not so sure anymore. Would this strategy work in my situation? Or am I better off going back for the masters? Working for free is generally not a good idea if you already have full-time work experience. Never offer it up in the beginning, only offer it if they object by saying they can’t afford to pay you. Otherwise you come across as desperate. 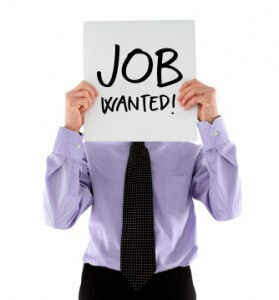 It’s OK for undergrads and recent grads with no work experience, but it’s not a great idea for experienced candidates. A Master’s + short internship before is probably a smarter move. Hi, I have been trying to get a quant job at either a Wall Street Investment bank or hedge fund over the last year. I have a PhD in Nuclear Physics and maintained a 3.82 GPA throughout undergrad and grad school. I have applied to many jobs and received a few phone interviews, but nothing substantive. The few interviewer that offered me feedback have indicate that my educational background is fine but I don’t have any experience. I just recently considered offering my services for free for a period of time (maybe 6 months or so) in order to obtain relevant work experience so that I would be able to secure a paid position or at the very least, get my “foot in the door”. Do you think this strategy would work in my situation? How can I find the tiny no name 3-4 person firms in the SF bay area? I am a sophomore at an Elite university, and seems like all the IB summer internships are for diversity candidates, which I am not. I have a 3.8 GPA, and am a partner at my university student run fund. I would be willing to be an unpaid intern to get work experience. Any suggestions on how to find these small firms so I can reach out to them. Thanks alot! Capital IQ… our Networking Toolkit… simple Google searches… press releases.. I am two years removed from graduating from a top 10 undergraduate business school with a bba in finance and a 3.4 GPA – good but not great. While in school, I completed two internships as a Summer Analyst with a Bulge Bracket (outside of the IB group) and graduated into an off-cycle situation after studying abroad at a top 15 European B-school. Thereafter, I joined the Corporate Banking group at a large international bank (top 25 in size) working on deals in the upper-middle market. Recently, due to reasons unrelated to work, I relocated and accepted a job as an Associate at a lower-middle market PE firm. The fund is brand new and I am currently heavily involved in deal sourcing activities. The catch? It’s currently unpaid as we are still searching for our first few investments. With my future with my current firm somewhat uncertain, my question is with this background, how receptive are other PE firms likely to be while I search for a more permanent situation? Also, how does my experience size up in the eyes of an Investment Bank? I think you could win positions at other PE firms based on your experience. But it would be tough to move to a mega-fund unless you’ve had previous IB experience at a large firm. And you would need to spin your sourcing work into somehow sounding more deal-related (maybe rely on outside study). I am in my late 30’s with years of experience in commercial banking and public accounting outside the US.I am a CPA and now resident in the US. I just rounded up a graduate program and I am now thinking of paying for a training program that is tied to an unpaid internship at a boutique.The main crux is the internship it offers as I can easily learn all the stuffs on my own. Do you think it’s a good idea for my end goal of working in asset management? Note that the traininf costs some decent $$$$. It depends on your goals… you probably won’t get into IB with that background, as you have too much work experience, but if you’re interested in other fields of finance, the training + internship might potentially be helpful. Thank you for your prompt response. Which specific other fields of Finance do you think I can use the training+internship to break into? Corporate finance at normal companies, maybe something like wealth management or asset management as well. I have networked with a guy in private equity at an event. He is not much older than me (23) and is an analyst. I would like to enter the firm (small firm few people) and am not sure how to. I was hoping to propose to him a work shadowing arrangement whereby I would work uncompensated so I can come in and gain exposure. This would be a great thing for my CV. I am from the UK where spring week programmes are crucial for summer internships in university so having a PE firm and experience would put me on good stead. By the way, I am 19 and am pre-university, still studying A-levels. Q. Do I go about asking him straight away, or do I start asking questions first and building a consistent dialogue with him? also Q. How would I go about proposing this idea? At this stage, that strategy probably won’t work because most PE firms do not hire pre-university candidates. Stay in touch with him, do spring weeks or other internships at large banks, and then approach him about a real internship there in your 2nd or 3rd year of university. I am a junior and I’d like to ask which internship would be more beneficial in securing a full time offer in investment banking. An unpaid internship at a boutique investment bank or a paid finance internship like private wealth management or global transaction service at a big bank ? Thank you very much for your advice ! I’d say an unpaid internship at a boutique, unless it’s a PWM role at say Goldman Sachs or Morgan Stanley (or the likes). I’m a french student and I’ll graduate this summer from a top targeted school (in France). I’m doing a political sciences bachelor with an economics major, with a 3,7 overall GPA and a 3,8 GPA in my eco major. I won this year the green card so I have to move this summer in the US. In France, it’s common to start networking and doing internships during master degree. So I have no previous experience in IB nor contacts in France and the US. I’m seriously considering unpaid options to break into IB in NYC and gain experience and contacts first. My question is: With cold calling/emailing and networking, do I have a chance to get an unpaid offer in a boutique? If so, will it help to get summer internships for next year? If so, do I have a chance to get a work offer without continuing a finance master degree in France? The fact is if I didn’t win the green card, I would have entered a finance master degree. But now I have to put on hold my pursuit of studies in France, for a year to keep my green card, but I can come back next year, enter the master degree and then come back with more knowledge to break into IB in NYC. But maybe there’s no need to continue, I’ll graduate soon, I can network and make experience through unpaid offers and, if I have enough “chances”, get an offer. I don’t know. Thank you very much for your advice and for your amazing website. With cold calling/emailing and networking, do I have a chance to get an unpaid offer in a boutique? If so, will it help to get summer internships for next year? If so, do I have a chance to get a work offer without continuing a finance master degree in France? Hi, I’m doing a bachelor’s in business with two specialisations in Finance and Marketing. I’ve previously done an internship in Year 1 as a market analyst, but it’s more toward the marketing side. Before I entered university, I did a short stint in the finance department of an MNC, in accounts payables. I’m now in year 3 and looking for a finance/banking internship. I’d like to ask if I should just remove my marketing specialization from my resume. I’ve realized that many interviewers view it with suspicion (also because my previous internship title was Market analyst –> no prior finance experience??). Between a 3 month quantitative (market) research internship at a market research company, versus an 3 month internship at an insurance company , versus a 6 month internship in a bank (institutional clients group – financial institutions segment)- mostly doing due diligence on credit extension, KYC, assisting relationship managers in implementing new mandates. I’d like to ask which internship would be more beneficial in the long run if i want to join the banking/finance sector, working in wealth management. The 6 month internship is good, but if I take it, i won’t have enough time to pull up my GPA (i may be at risk of losing my second class lower honors!!) I also would like to know how important GPA is for working in wealth or asset management. Thank you very very much for your advice and I’m sorry that my post is so long!! GPA is important. For the AM role, the bank internship would be more useful. Even if you don’t take the internship, you may not be able to pull your GPA up to higher than a certain level (unless you can move it to First Class). So I think the work experience and network you’d gain would probably be more useful.